Digital transformation is an ongoing process that requires organizations to move fast and be nimble. Technology is always evolving, and so too are customers’ expectations. 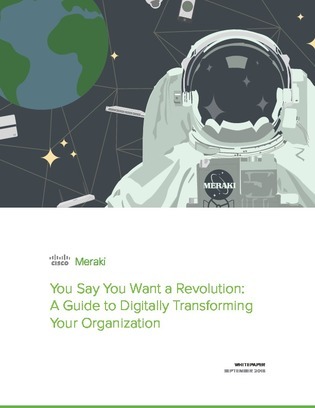 In order to be ready, organizations need a network that requires minimal upkeep and can easily grow with the organization’s needs, rather than a stack that’s complex and full of moving parts. Learn how a cloud-managed IT suite can help make your digital transformation more manageable.